I get lots of e-mails from people asking for advice about how to get into the natural history film industry, I really try to reply to everyone but sometimes I don’t manage, so here are a few thoughts that prospective wildlife cameramen and women might find useful. 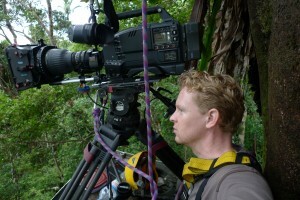 Being a professional wildlife cameraman is one of the most rewarding, challenging and exciting ways to spend your life, but it is also one of the most difficult professions to break in to, and even for fully fledged cameramen with many years experience it can be a very tenuous and unpredictable industry from which to make a living. 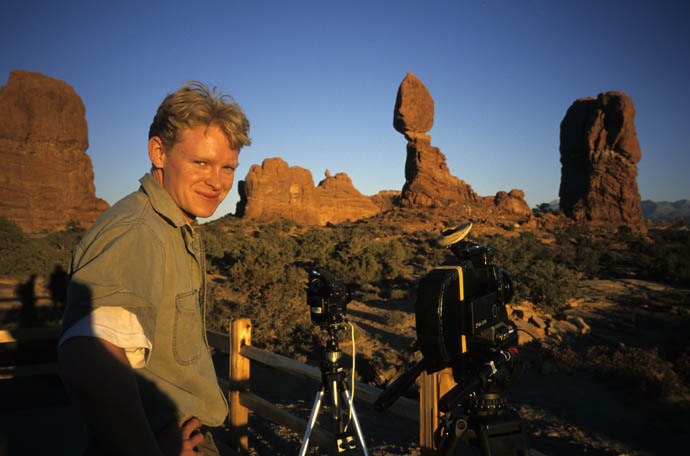 If you are reading this you have probably seen a few ‘making-of’ programmes and have got some of the flavour of what it takes to make wildlife films, and you will have some perception of the life that a wildlife cameraman leads. I would certainly agree that all the wonderful things you might imagine – the travel, adventure, access to fantastic wildlife and locations are, indeed, wonderful. All those elements, and the artistic challenge of filming beautiful images, are what attracted me to the industry, and I am just as inspired and motivated now as when I started nearly 25 years ago. I was first inspired to become a wildlife film-maker when I was about 8 years old – a Hugh Miles film about Ospreys in Scotland absolutely captivated me, and pretty much every decision I took form that point on lead towards what I now do today. I was really lucky to have this single-minded drive, and I would say that if you don’t have this all consuming passion it might be worth questioning why you would like to get into the industry. For me, aged 8, there was no possibility of owning a camera or being able to afford film, so I became obsessed with drawing wildlife subjects, then in my ‘teens I worked through my summer holidays as a decorator to save up to by an ancient Nikon SLR and a battered 80-200mm lens. Then I spent all my spare time taking photos, either in the parks around were I grew up in London, or up in the Yorkshire Dales on family holidays. I would also devour all books I could find about wildlife, animal behaviour, photography and art. I had realised that, for me, the science and understanding of animal behaviour was going to be a crucial part of my work, so I decided to go to university to study biology rather than try to get into the industry straight out of school. Looking back this was one of the smartest decisions I took as three years at Oxford was not only an amazing learning experience but it meant a really positive exposure to a wide range of experiences that I would not have otherwise had. This is not to say that a university background is essential, and there are several very talented wildlife cameramen who left school at 16, but for me it was the right decision. I would certainly encourage anyone to keep going through further education – in some ways I believe a biology degree might be more useful and ‘future proof’ than a specialised course in wildlife film production. One of the huge challenges of breaking into the industry is the fact that there is no set route in, it’s not like being a lawyer or a doctor where you go through a prescribed training period and you get your job. Every wildlife cameraman working today has pretty much had to figure it out for themselves. The BBC NHU has occasionally offered a bursary scheme – and some exceptional talents have passed through it – but it is sporadic and, as you might imagine, hugely over-subscribed. I was lucky enough that I was at university near to one of the few independent wildlife film production companies in the UK; Oxford Scientific Films (OSF), and even more lucky that OSF’s then director, the amazing Sean Morris, had a real belief in taking on young inexperienced individuals and mentoring them within the company. Without Sean I have no idea what career opportunities I might have had, or where I’d be today. So one of the real keys to getting on the first rungs of the ladder is to try to foster relationships with independent production companies as they are often more flexible, and have more opportunities, than the big broadcasters like the BBC. 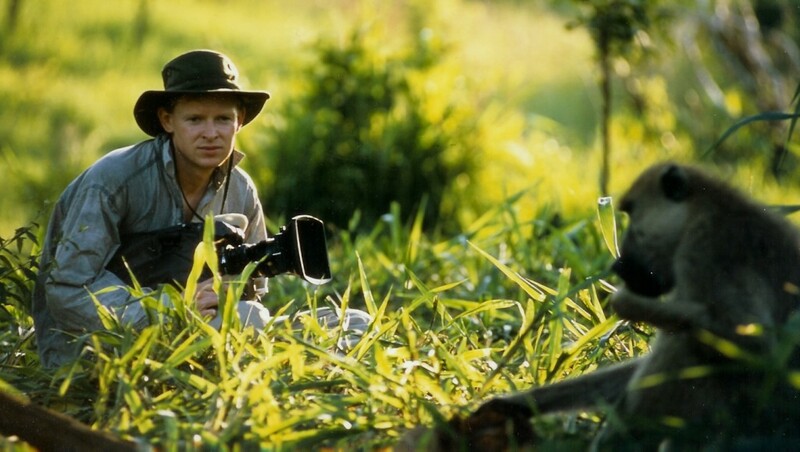 Another possible way to make your first steps is to find out if there are any wildlife cameramen living near you (look at the International Association of Wildlife Film-makers website – www.iawf.org.uk) – contact them, meet them and see if you can assist them. The big problem here is that most of our work is overseas and, as cameramen, regardless of how much we would love to take an assistant with us, budgets will not allow it. So your options of getting hands-on assisting experience is typically limited to UK based shoots which are few and far between. It’s an undeniable fact that money is getting tighter and tighter in the world of natural history film production and this means that the opportunities for assistants are becoming increasingly scarce. Typically when opportunities do arise there will be very little (if anything) in the way of renumeration. It’s fair to say that if you are not prepared to be very poor for the first few years of your career this is not the job for you. When I first started at OSF I moved back in with my parents in London and had 7 hours of commuting on public transport each day for the first few months (the cost of which accounted for about 50% of my salary) before finally renting a single freezing cold room in a farmhouse and cycling the 12 miles to work. I lived in the same little room for 6 years and it never got any warmer. The first steps are hard, but I’d recommend fostering a network of contacts in the industry (independents, BBC producers, local cameraman) as being your priority. 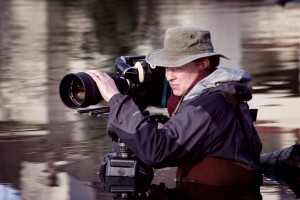 You also need to be developing your skills, I did a huge amount of stills photography in my early years which was invaluable, and I would say that I would not take seriously any prospective assistant who wasn’t passionate / obsessive about stills photography – if you are not in love with making images why would you want to be a cameraman? It’s also never been easier to go out and start filming, there are video cameras that offer fantastic quality at really reasonable prices now and any new computer will have pre-installed editing software, if you want to be a wildlife film-maker it’s never been easier to go out and make wildlife films. Start shooting material for a showreel so you have something tangible to show prospective employers. Showreels need to be short (no more than 5min, ideally 3min) and don’t put any ‘throw away’ shots in – much better to keep it brief and high quality than to make it feel like it’s been padded out. One of my first showreels was about 25 minutes long, no-one watched it, no-one commented on it, it was a total disaster. There is no denying that the first steps are extremely difficult, but enough people break through into the industry to prove that it is possible, you’ll need luck, talent, persistence and dedication but, if it’s the career for you, you will find a way. It’s worth baring in mind that the kind of sacrifices that the job demands – time away from home, unpredictable income etc – are easier to cope with in your 20’s than they are in your 30’s or 40’s – and it never becomes an easy job. You can loose thousands of pounds worth of work overnight, shoot dates are constantly shifting, projects that seem certain to go ahead suddenly get dropped and you, as the cameraman, often have to take on all these risks while still smiling so as to not jeopardise future work. If anything the pressures that come with the job increase as you get older – having children and a mortgage make it much less funny when shoot dates suddenly change. I didn’t take any of this into account in my 20’s, and I’m not sure it would have made any difference to the pursuit of my dream, but it is worth mentioning. It’s also worth mentioning that, although you can make a very good living from being a wildlife cameraman, your income may (and probably will) fluctuate from year to year and, unlike most professions, there is no graduated scale of pay increases. You may well be earning the same, or less, in your 10th year as a wildlife cameraman as you did in your 5th year – while all your acquaintances in the city are wondering how to spend their bonuses. You will be a freelancer, out there in a competitive and pressured marketplace, you’ll need to be sharp about how you run your business and market yourself. If I haven’t put you off by now then I’ll try a little harder. The lives of wildlife cameramen might look glamourous on the ‘Planet Earth Diaries’ when viewed from the comfort of your sofa but to be successful you’ll need to be the kind of person who can really cope with the realities of extremes of climate, primitive living conditions, extremely long hours and a fair amount of physical grimness while still remaining professional, making smart decisions, and being a good team player. 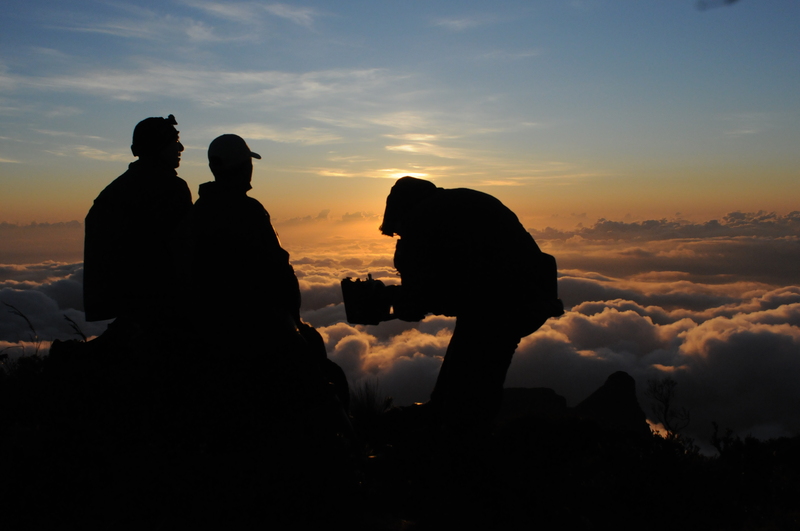 As the cameraman on location you’ll usually be up first and last to bed, you’ll need to keep the camera equipment in running order and you’ll often have to manage and support a small team of researchers / porters. You will also have to be flexible and resourceful enough to respond to the constantly changing demands of the location. There are also a huge range of skills that you have probably never thought of that you will have to become proficient at; single-handedly getting 25 cases of camera kit through a foreign airport a 2am and smiling in the face of abject bureaucratic stupidity as you wait for your carnet / filming permit to be signed spring to mind. It’s never easy and the buck usually stops with you. Having said all of that … it’s still the best job in the world and the days when I can’t believe I get paid to do this far outnumber the days when I don’t think I get paid enough.